Flowcrete Australia has launched Flowsports Aquatic, a brand-new range of high performance resin flooring solutions for aquatic, leisure and recreation facilities. 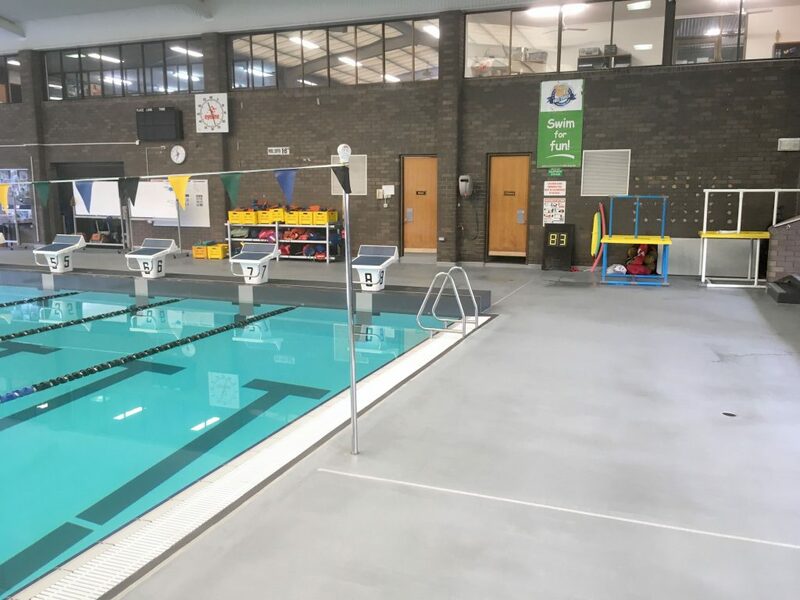 The Flowsports Aquatic collection features a number of solutions that have been designed to provide decorative, safe and reliable floors for areas such as internal and external pool concourses, walkways, amenities, change rooms and grandstand seating zones. The resin flooring specialist has designed these new systems to meet the specific flooring criteria within swimming pool environments, such as waterproofing, withstanding exposure to large quantities of water, minimising slips and trips, preventing unhygienic conditions and facilitating a fun and active space. Flowcrete Australia’s managing director, Sean Tinsley, says, “Aquatic centres face a number of flooring challenges and picking the right finish for each part of the site can be a tricky prospect. Flowsports Aquatic consists of five new floor finishes, providing a wide choice of options for the many different areas within a leisure facility. The range starts at Flowsports SRQ, a decorative epoxy system that uses coloured quartz granules to create an attractive, durable and non-slip surface underfoot. Flowsports SRQ is ideal for internal applications including pool surrounds, walkways, change rooms and amenities. For spaces that need the above properties but where additional moisture tolerance is required, the hybrid resin-based solution Flowsports SRQ PU can be applied. If time is of the essence, then Flowsports SRQ Rapide is the system to go for, as its methyl methacrylate (MMA) enhanced formulation means that it can be installed in a fraction of the time of alternative materials. The aesthetic, practical and application benefits of Flowsports SRQ Rapide made it the perfect choice for Sydney’s Blacktown Aquatic Centre during a refurbishment project. The tiled floor in the change rooms, showers and toilet facilities had begun to show signs of wear and tear and so needed to be brought back up to the elite swimming facility’s high standards. 350 square metres of Flowsports SRQ Rapide was installed in a Blue Granite Blend to revitalise the floor. The fast-curing nature of Flowsports SRQ Rapide, combined with the fact that it could be applied on top of the existing tiles, meant that the new floor was completed in only seven days. The Flowsports Aquatic range also includes two low volatile organic compound (VOC), flexible, textured polyurethane based systems – Flowsports ID for interior spaces and Flowsports ED for exterior areas. Both are available in a variety of solid colour finishes and provide enhanced protection against impacts, UV rays and chemicals. 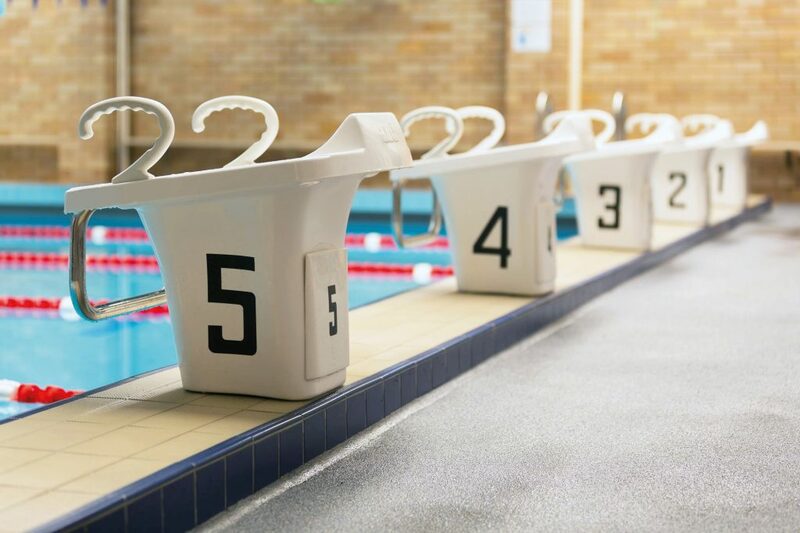 Flowsports ED has already proven popular with a number of aquatic centres that need a robust, reliable and safe surface that's able to withstand busy days and intensive use for an extended period of time. Both the Fairholme College Aquatic Centre in Toowooba, Queensland, and the Footscray Park Campus Aquatic & Fitness Centre in Victoria utilised Flowsports ED to create fit-for-purpose pool surrounds in contemporary shades of light grey. These projects also exemplified the ease with which the Flowsports Aquatic range can incorporate drainage and be laid to falls to ensure that water splashed out of the pool quickly drains away. This is an important health and safety factor, as it avoids water ponding and becoming both a slip hazard and a prime site for bacterial growth. 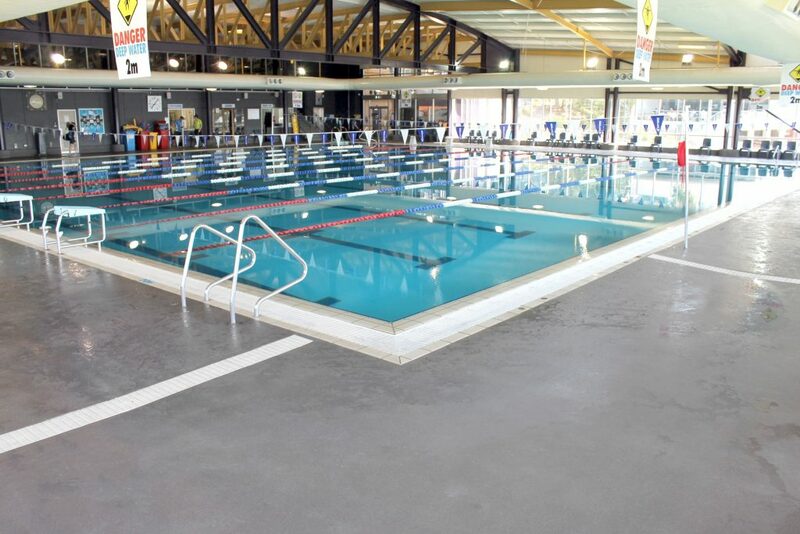 The seamless, impervious and chemical resistant nature of Flowcrete Australia’s aquatic flooring solutions means that they are very easy to clean and won’t be affected by the chemicals used to sanitise swimming pools. To find out more about the new Flowsports Aquatic range, get in touch with your local Flowcrete Australia representative today. Images courtesy of Flowcrete Australia.